And so ...yet another hold up because of problems with my engineering plans. This is the third set of problems since they were issued to me. Perhaps I am at fault in part for not having checked them thoroughly enough when I first received them, but when you pay someone $4,000 to do a job you sort of expect them to do it right the first time. 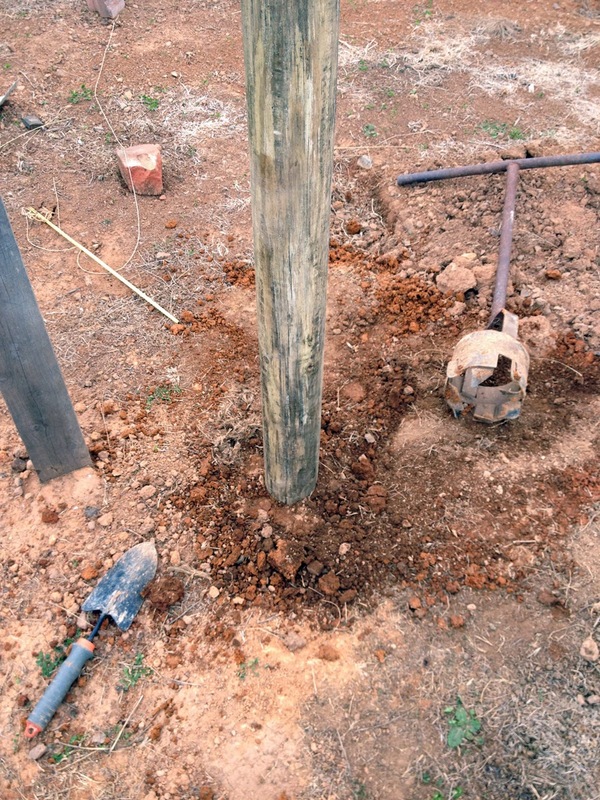 This new issue concerns the steel support posts inside the house which help ease the stress from removed walls. The engineer plans specify attaching plates from the support posts to the parallel flange channel (PFC) that runs along the top of the container. Unfortunately a container doesn't have an upper PFC. They are only along the bottom of the container. 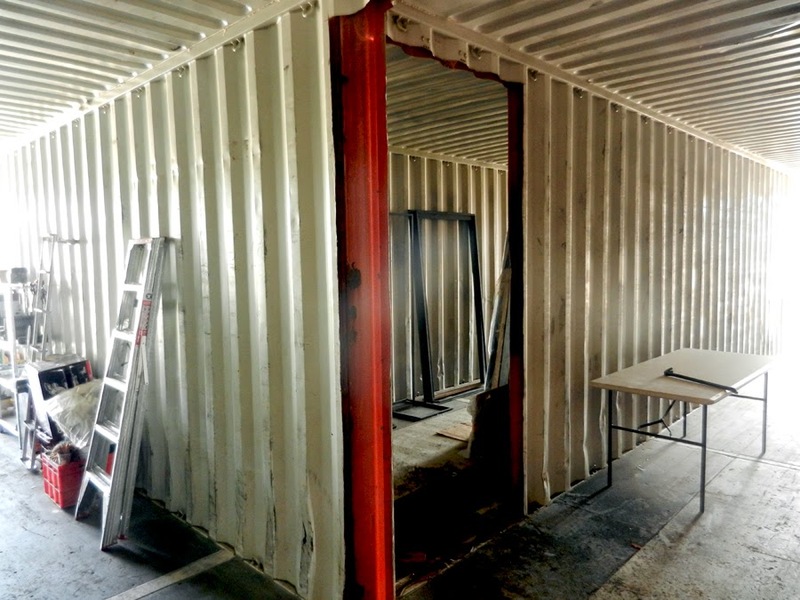 It takes 5 minutes to Google shipping container construction to find that out. So now I am waiting for them to answer my email requesting an updated set of plans that address the problem. In the meantime I have started to establish the veggy garden. 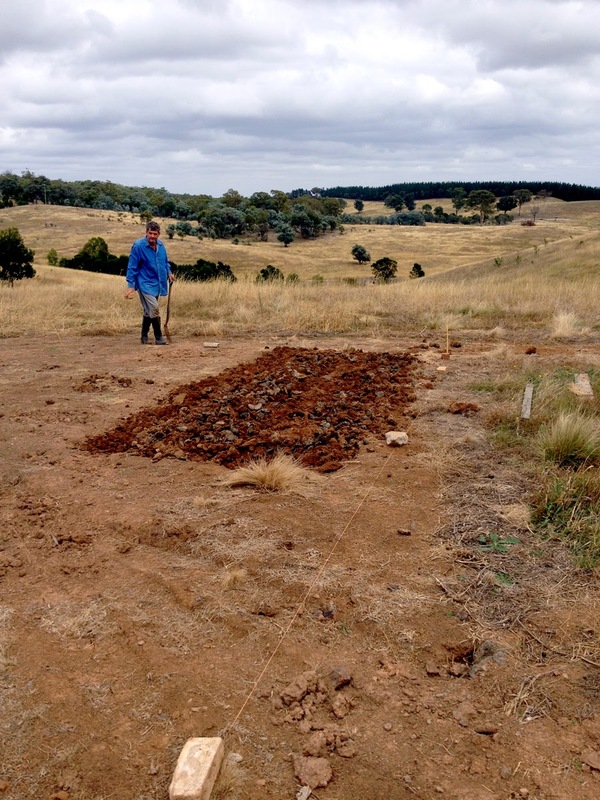 On Paul's last visit he chose the position due to the quality of the topsoil he found. It was under where the containers had been sitting before they were moved onto the piers. He immediately began turning the soil. 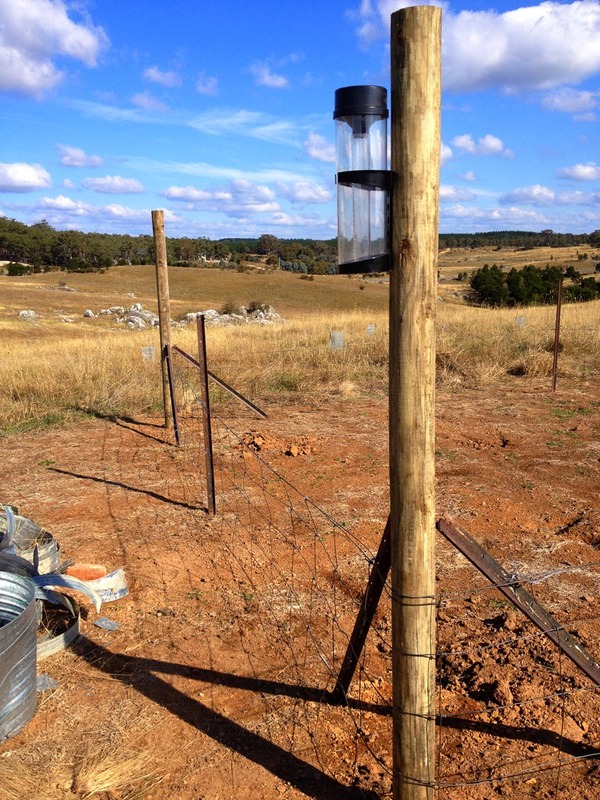 Over the last couple of days I have begun erecting the fence to keep out the 'roos and wascally wabbits. 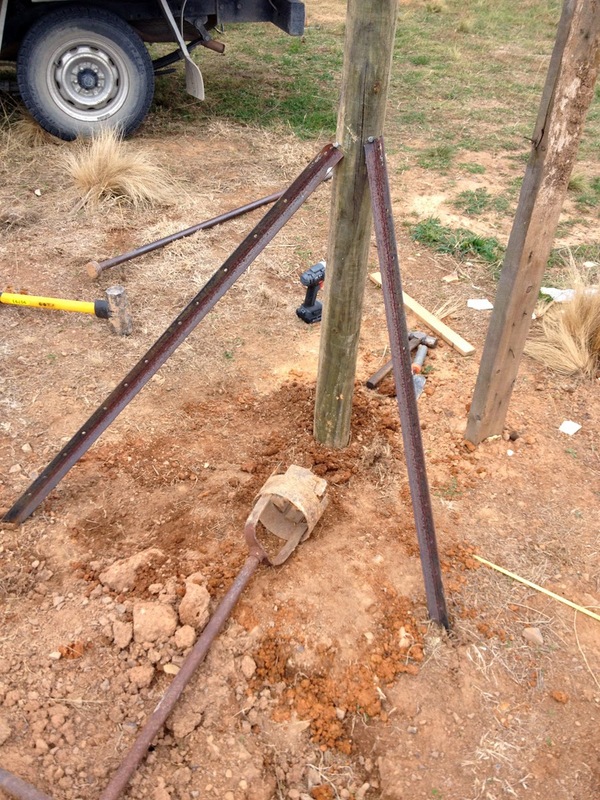 So far I have one round of fencing wire attached. Next I will add another layer above the first to make it around 1.6M high. 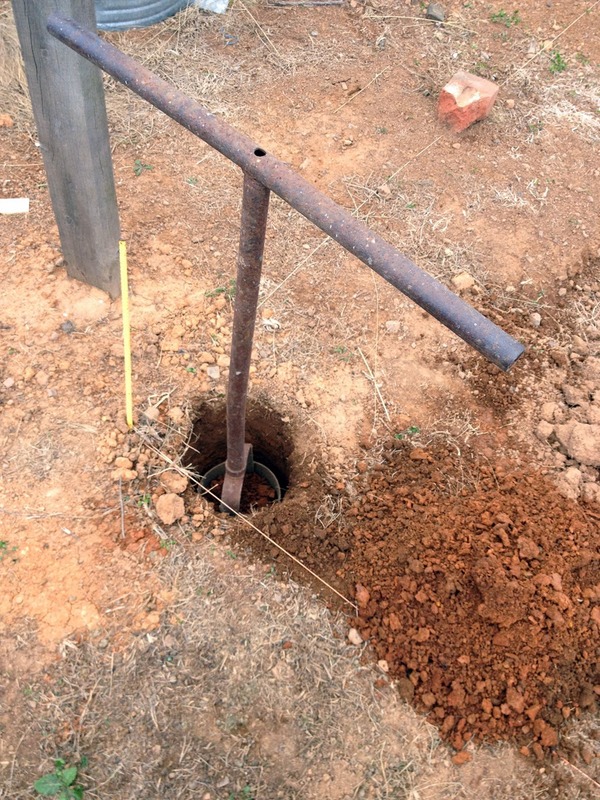 I also need to run a layer of 600mm chicken wire around the base, with 200mm buried below the ground so rabbits don't dig their way in. 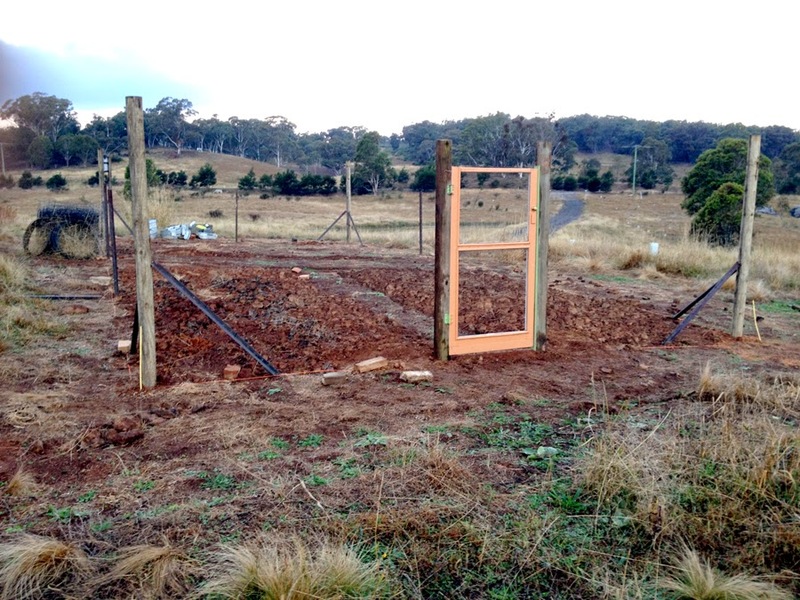 The fence wire and star pickets came from an old paddock fence I dismantled last year, and the gate is a cut down back door screen that Paul was going to throw out. It will probably get a lick of paint at some stage. It is rather a large veggy garden and will allow me to support a small Andalucian village with fresh produce. But if it exceeds my needs then in the future I can cordon off some of it for native seed raising beds. I have also taken out a little bit more of the walling to open up three of the four containers to each other. It's great to see the space beginning to emerge from the dark and narrow tunnels that were originally there. Hello Terry, it's great to see the progress you are making. Just remember if this is your engineers first container project they are going to miss things. 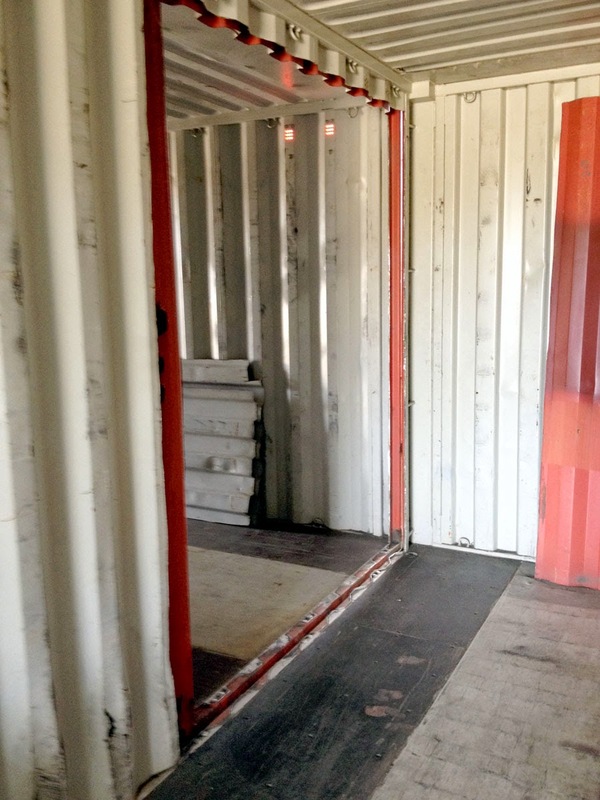 Does your engineer have a container specification plan? Since containers are made to an ISO standard weather you have 40 ft or 20 ft containers the specs should be the same. I made sure that my engineers received a copy so the had good info for their calcs. They still missed a couple of things that I had to correct or fix in the feild. I basically had to feed my engineers all the research data on building with containers, so I have gigabytes of info if you need any. Your current issue sounds familiar to what I had to do with my house. If you have the time go to my blog in the middle of 2012, that's when we did most of the container reinforceing. Thanks Kyle, I'll definitely go back over your blog and have a look. In hindsight I wish I had supplied all the info to the engineers. I naively thought they'd do their own research!! How is your own place going? Any updates? The house is great we have been living in it for a year now and it is very comfortable. The key is insulation, we spent a lot of time and money on minimizing thermal bridging issues. We are still working on some wall finishes and trim work but the rest is done.